Our shop in Simpsonville, SC uses the latest collision repair technology to get you on the road safely and quickly. Check out our image gallery to see pictures of the work we have carried out in Simpsonville, SC! Whatever your collision repair or auto body service needs, look no further, get in touch with us today! 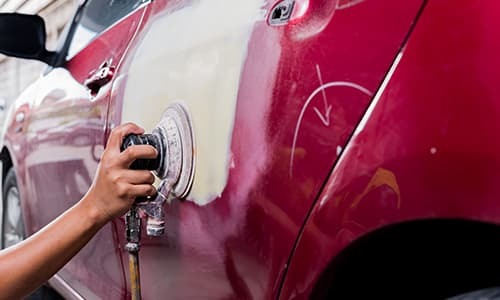 Carolina Paint & Body Shop is upstate South Carolina's premier auto body shop utilizing the latest technology in auto body repair since 1980. We are located on Highway 14 between Greenville SC and Simpsonville SC, away from the crazy traffic and high prices of the Motor Mile body shops. If you've had an automobile accident and your car needs collision repairs, we can help. We know that being in a car wreck can be a traumatic experience. Working with the insurance company after an automobile accident can be a hassle. Our friendly and helpful staff is experienced with easing the burden of working with your insurance company. We can also arrange for towing service or a rental car. At Carolina Paint & Body Shop, our auto body shop specializes in auto collision repair after an auto accident. We accept almost any insurance. We use state-of-the art computer equipment to provide you with a detailed written estimate of repair costs. And of course, all of our work is guaranteed. We are an auto body repair shop which stands behind its work. Our automobile painting, auto body work, and auto glass replacement are of the absolute highest quality. 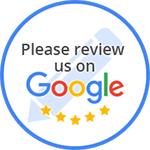 Our customers love us so much that we've had former local customers who have moved away have their cars towed to us from Georgia and North Carolina to have their auto body repairs done here. If you need your vehicle fixed after an accident then you've come to the right place. Carolina Paint & Body Shop will treat you right. Please call us at (864) 963-3072 today!